1,600 km, 21 days, 1 man and his Vespa, and a fair bit of rain. Ben takes us on his second "painting" trip, this time around the Irish distilleries. The distilling landscape of Ireland has changed dramatically over the last five years with the resurgence of Irish whiskey, with dozens of distilleries being built and planned. 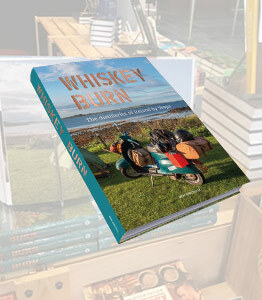 Join Ben as he discovers the old, the new, and the yet-to-come distilleries of Ireland in Whiskey Burn.